The end of the world came with a headache and a fever. Most of the earth’s population perished. 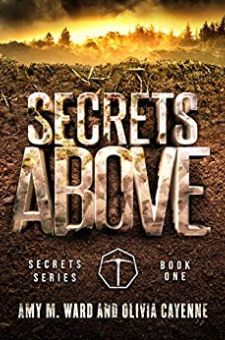 Those fortunate enough to be immune scattered, desperately searching for safety.In the chaos of the viral outbreak, a select few were granted access to an underground bunker. Terra Convex, built by a man of tremendous wealth and the foresight to see what was coming, became the haven so many sought.Ninety years later, what once was meant to be a haven has become a place of isolation, abuse, and oppression.The Laws of Terra Convex are clear – no questions. Only devotion. Leadership decides where each citizen will work, whom each citizen will marry, and even the names of all the children. Individuality has been stripped. Creativity has been banned.The trade-off is a life without fear of the deadly virus that waits above.Amelia, a teenager with a reputation for relentless curiosity, stumbles upon a room with the only window in Terra Convex. As she nears the Age of Marital Responsibility, she begins to imagine a life outside the underground bunker. A life free from the oppression of Leadership.All she can do is imagine.Until one day, Amelia sees something through the window that changes everything. Something that could explain why Leadership doesn’t allow questions.A bloody handprint on the outside of the window.This could be the proof she needs to convince the community it’s time to rise against the government. Or, it could be the very thing that causes her to lose everything. Including her life. Amelia must decide how much she is willing to risk to uncover the lies of Leadership. How many lives will be lost to reveal the secrets above?The Giver meets Divergent in this fast-paced novel by mother/daughter writing team, Amy M. Ward and Olivia Cayenne.